"Judith Plant takes us on a journey we're not likely to forget. Thanks to her candour and the bold questions she leaves us with, this journey deepens our own search for relevance in a radically changing world." The time is the early 1980s. Judith Plant and her new partner, Kip, are ready for a change. Inspired by the charismatic Fred Brown, their communications professor at Simon Fraser University, they join a commune in a remote valley near the Yalakom River, deep in BC's Coast Mountains. Culture Gap: Towards a New World in the Yalakom Valley tells the story of that sojourn. The challenges and privations, the joys and adventures of rural communal living, form the backdrop to the human drama the author recounts. Judith and Kip's family includes her children; Willie takes to the new life, but his sisters feel the strong pull of the life they left behind. Meanwhile Fred, the inspiration for the commune, stricken with cancer, is dying. An absorbing account of a lifestyle emblematic of a time, Culture Gap also shows, from her own older perspective, a young mother's struggles to reconcile her social ideals of personal and environmental responsibility, and loving and caring for those closest to her. Culture Gap is number 22 in the Transmontanus series of books. Decades ago, out back of beyond, Camelsfoot, a philosophical commune, aspired to "self–conscious culture making." Imbued with her conviction that "a meaningful and caring life with others is our natural right," Judith Plant's memoir of its fleeting achievement and many uncommon good times glows with wisdom, complexity, and compassion. A noble read. The experiment of utopia has a long track record of failure, yet its allure will forever capture our dreams of possibility. It takes great courage to plunge into its trials and tribulations. It takes even greater courage to emerge at the other end knowing you have failed, and then write — with sensitivity and openness — about the many losses...and gains. Judith Plant embodies such courage. Her work is a testament to the power of "lived experience." creation, surprise, disappointment, death — all figure into this spark of twentieth–century history. Those of us who participated in back–to–the–land communalism in the 1970s and '80s have stories to tell of moments when life was direct, intimate, and hopeful — even if the lessons were hard. In these darker times, such stories are like water on parched earth. The passion with which some of the people tried to develop new ways of living and relating to each other filters through these pages with truth, as does the confusion in which participants were frequently mired. This is how it was. May other generations read this book with curiosity and learn from our trials, for their own evolution. passed through like a warm breeze on a cold day. We turned to feel it. We caught a sense of what it held. We inhaled and exhaled it. The bravest of us, like Judith Plant, did more. They floated up and rode that wind. They soared with it into a delicious unknown, levitated by hope. Some survived to tell the tale. This is one of those tales. The determination and toil it took to manifest that dream we all have to make and find community is palpable in Culture Gap. I could almost feel the physical and mental exhaustion Judith felt in her labours, and the terrible disappointment and sadness of realizing that our human foibles present far greater barriers to working in community than the actual toil of working the land. 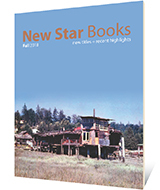 Judith Plant, together with her late partner Kip, is longtime publisher of New Society Publishers of Gabriola, BC. She co–edited the collections Healing the Wounds: The Promise of Ecofeminism, and Home! A Bioregional Reader.